Financial Planner vs. Financial Advisor: What's the Difference? To find out more and to figure out which one you should hire to improve your family’s financial status, keep reading! A financial planner works like your regular doctor. They take care of your overall financial health. They also help make sure you’re sticking to your budget and working to get or keep yourself out of debt. When you sit down with one of our family financial planners, we’ll look at where you are right now and where you will be in a few years. We help you figure out exactly how much you should be spending and saving for the future. We are often the first person a family has had analyzed their current insurance objectively. Planners provide an insurance review without trying to sell insurance. We plan around the economic facts and your situation. We coordinate this advice with your agent or recommend high-quality, low priced options. Never again pay for more insurance than you need. We’ll all work to get your family where you want to be financially. Mostly, the role of a financial planner is to help your family create a plan for spending and saving money that focuses not just on short-term wants, but long-term needs and goals. Also known as an investment advisor, these jobs are regulated by the U.S. government. Following the doctor metaphor, a financial advisor would be a specialist. Like a cardiologist, an investment advisor only focuses on investments. These will help your family grow your worth over time. A financial advisor studies stocks, bonds, and other securities. The goal is to allow them to track which ones will help your family get the best return on your investment for your risk tolerance. It’s important to note that a financial advisor’s predictions are not guaranteed. They have no way of knowing if a stock will do well or not and many are not even trained in securities analysis. That being said, many people prefer to work with a planner. Starting with a financial planner is best if you don’t have the time to invest in doing research on investments or don’t have these investments integrated with a financial plan. Skipping a discussion on the overall financial plan, advisors often jump directly into investments. They may create a portfolio that is “suitable” but not optimal. Our investment managers are different. They help you manage your investments and ensure that you’re making wise choices with your money. These choices should be grounded by your customized plan that’s only focused on your needs and success. Since there’s a lot that goes into investing, we’re here to help you every step of the way, so you’re never without help. We give specific advice about what you should do to grow your money through investing. As a CFA Charterholder, Todd Sensing completed one of the most rigorous financial educations in the world. The CFA is a series of three tests given only once or twice a year. You do not move on in the program unless you pass the current exam. The CFA is a true meritocracy based on knowledge and one’s ability to analyze complex financial situations. One of the other major differences between these two roles is in how they are paid. Most of the time, a financial planner is paid for the service they provide, regardless of the outcome. Exactly how they are paid will depend on the individual or the firm, as each may work a little differently. Sometimes, you will pay your family planner by the hour. They are therefore paid for the time they invest in your family’s financial health. If you keep yours around for a longer time, you may end up paying them on a monthly or yearly retainer. Financial advisors, on the other hand, are most often paid a percentage of your investment. So, the more you invest, the more they get paid. This can be a good or bad thing, depending on the advisor you’re working with. A trustworthy financial advisor will never expect you to invest more than you can, and so you don’t have to worry about paying them beyond what you can afford. However, if you find yourself with someone you can’t trust, you may be pressured into making larger investments than you planned so they can earn a larger commission. When looking for a financial planner or advisor, it’s important to factor in how much they charge. However, most people will agree that having someone dedicated to growing your wealth is a worthwhile investment. Another way to look at these two roles is that a financial planner looks at the “big picture” of your finances. They take all of your income and expenses into consideration as they help you move towards a more financially-secure future. Financial advisors just look at a small part of the picture, the money that you want to invest. However, without the comprehensive view of your needs, an advisor may cause more harm than good. The bar for a financial advisor is much lower. Calling oneself an advisor is as simple as passing a basic competency exam. Often, these “advisors” are salespeople, promoting products based on commission. This is where the confusion starts, who do they serve? The client or the firm? The most obvious similarity between financial planners and investment advisors is that they both provide help with your finances. They do it in different ways, but their goal should be the same: help you grow financially. 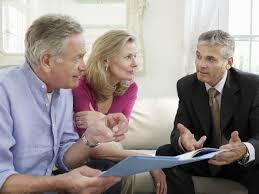 Another similarity is that there are many different types of financial planners and advisors. A business financial planner would have a very different job than that of a family financial planner, for example. These specialties benefit you since you can find someone that will meet your needs. Family Vest, for example, specializes in family financial planning for families and those with special needs children. Financial Planner vs Financial Advisor: Who is Best? In many cases, a financial planner will be the best choice for families. They have the experience necessary to look at your situation as a whole and help you get where you want to be. While there are some good financial advisors out there, there are also many others that are only looking out for their own best interests. That’s why we believe that a financial planner is best, no matter what your situation. We are biased in this regard, but we find those who take a fiduciary oath are often more dedicated to their long-term reputation. To find out more about how FamilyVest can help you with your financial planning goals, contact us today!